THE SPOTTED HARE: Soon ~ Very Soon . . . Soon ~ Very Soon . . . I apologize for being away for so long. you are healing from a broken leg. but up and down I go on my back side dragging things in baskets. I learned to sew with my left foot and I've almost perfected the one legged hop! over the next month to learn to walk again. 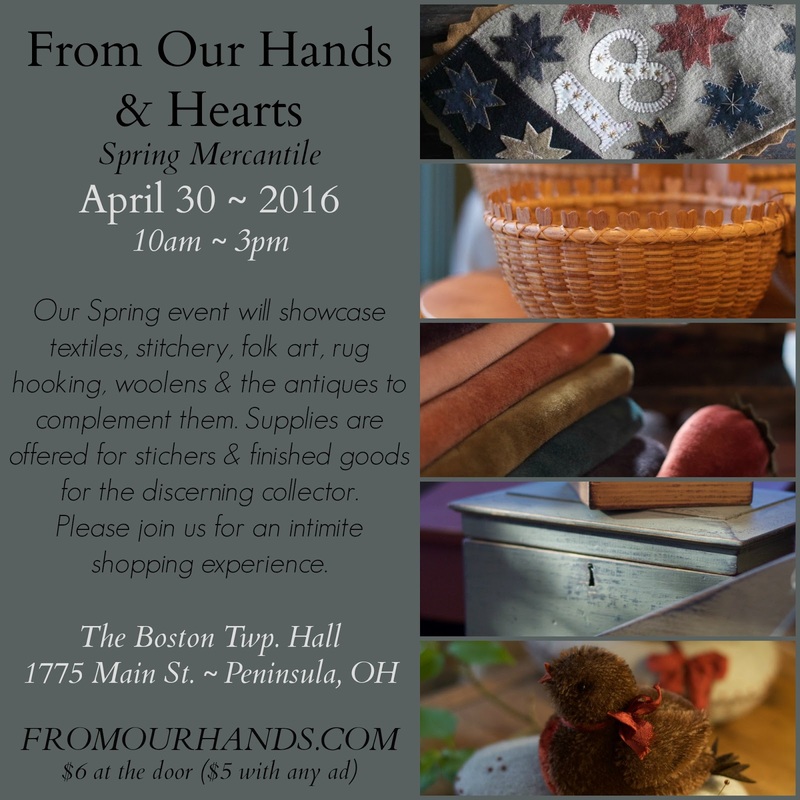 From Our Hands ~ Spring Mercantile. and dear friend Rebekah L. Smith. on Saturday April 30 we have a most lovely show for you! See details in ad above. Hang in there!! And have a fabulous show. Happy to hear you are on the mend. And I look forward to seeing lots of photos of beautiful workmanship. A small substitute in being there, but it will have to do. Best wishes. Wish I could just come & play ~ happy to know you're on the mend my friend!